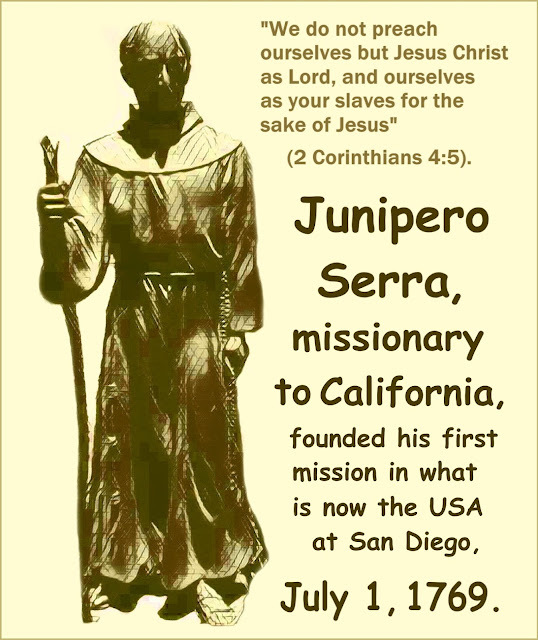 July 1st is the feast day celebration of Saint Junipero Serra, the "Apostle of California." We made many journeys in his footsteps to the California Missions in our younger days, up and down that beautiful State. And pray to Fr. Serra, who no doubt continues to have a special solicitude for the people who live in California today: so many people and everyone in need of the Gospel and the experience of a new encounter with the love of God in Jesus Christ.